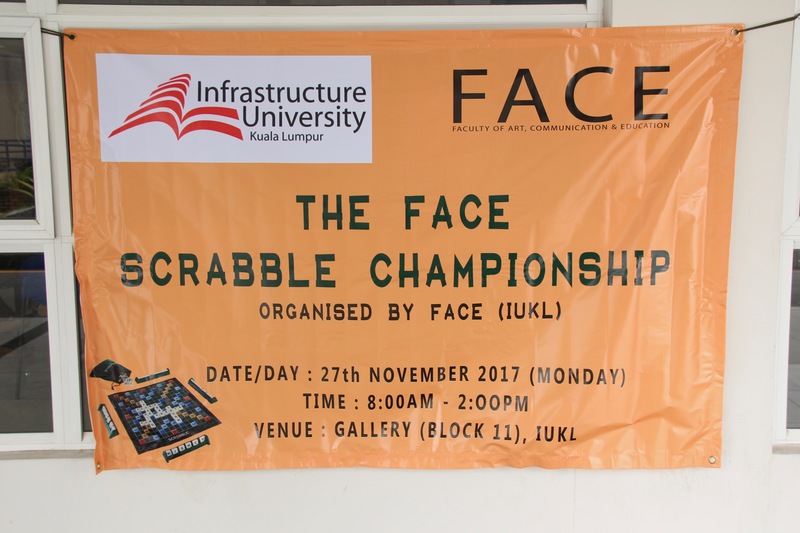 The FACE Scrabble Championship 2017, organised by the Language Studies Department of the Faculty of Arts, Communication and Education (FACE) was held on 27 November 2017 at the IUKL Gallery. 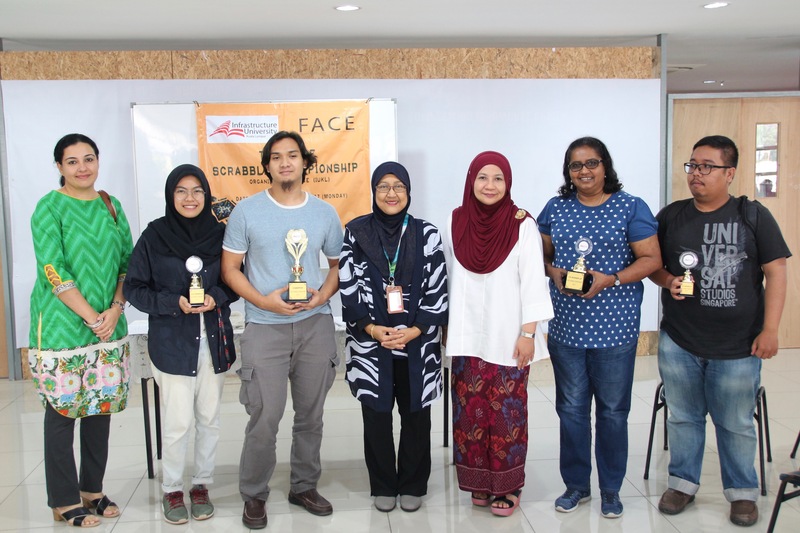 This competition entitled ‘Harness Your English Language Skills through the FACE Scrabble Championship 2017’ began with a welcoming speech delivered by Prof. Dr. Faridah Ibrahim, the Executive Dean of FACE. The gallery was packed with lecturers, contestants and supporters from various faculties since this event started at 8.00am. 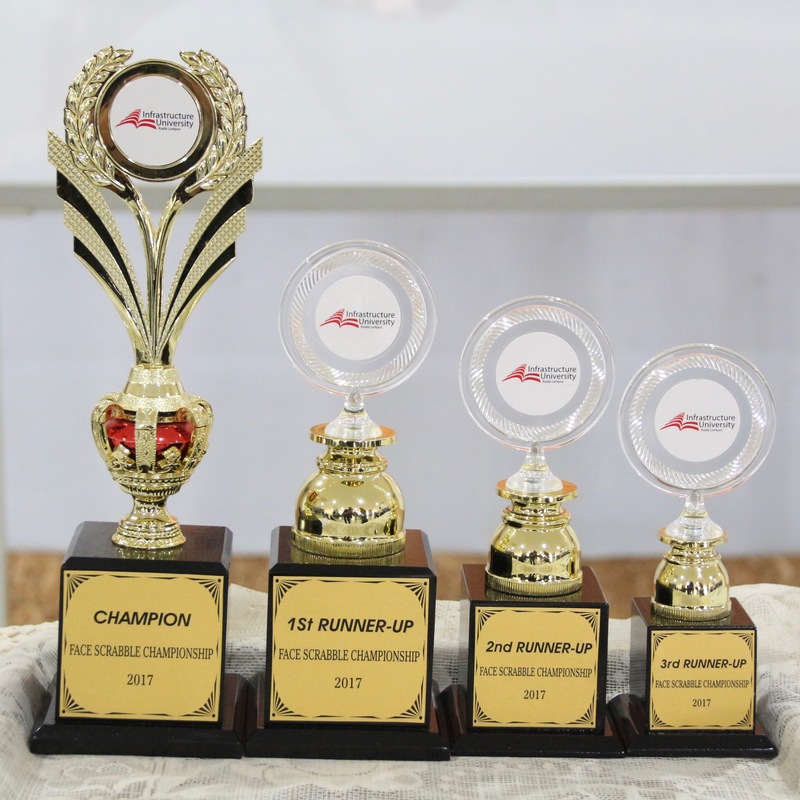 The championship which was open to IUKL students from all programmes and levels was aimed at giving the students the opportunity to enjoy using the English language while extending their vocabulary level in the language and enhancing their critical thinking skills in forming English words. 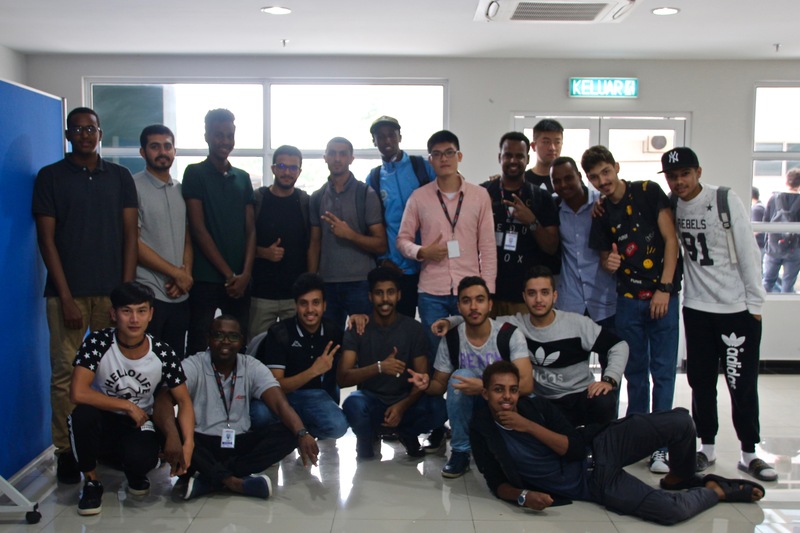 This event was also aimed at providing a significant platform for the students to showcase their Scrabble skills, and to experience a healthy competition outside the classroom. 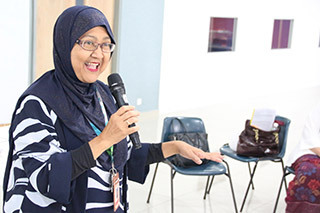 A total of twelve finalists competed in the championship and they were judged by two judges; Prof. Dr. Faridah Ibrahim, the Executive Dean of FACE and Prof. Dr. Siti Maziha, the Head of Education Department as well as the Head of Postgraduate Programme of the same department based on the highest total points scored by the players for each round of this competition. Interestingly, all the winners of this championship were students from FACE. Exciting prizes such as trophies were awarded by the panel of judges to these winners. Certificates of achievement would be given to the winners soon. 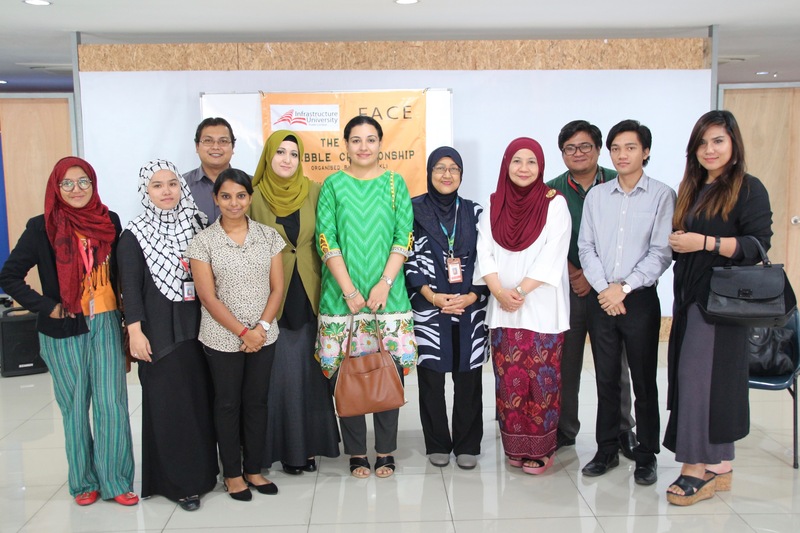 The top prize, the Champion’s Award was won by Nasrul Amir Bin Nasharuddin, a Bachelor of Arts (Hons) TESOL student. The first and second runner-up were Vincee Geeta A/P S Monraj, a Bachelor of Arts (Hons) TESOL student and Hadiyaturrohmaniyah – a Bachelor of Arts (Hons) in English for Professional Communication student, respectively. The third runner-up, Mohamad Rozainee Bin Yang Razali is a Diploma in Corporate Communication student. The other participants would be receiving certificates of participation soon. 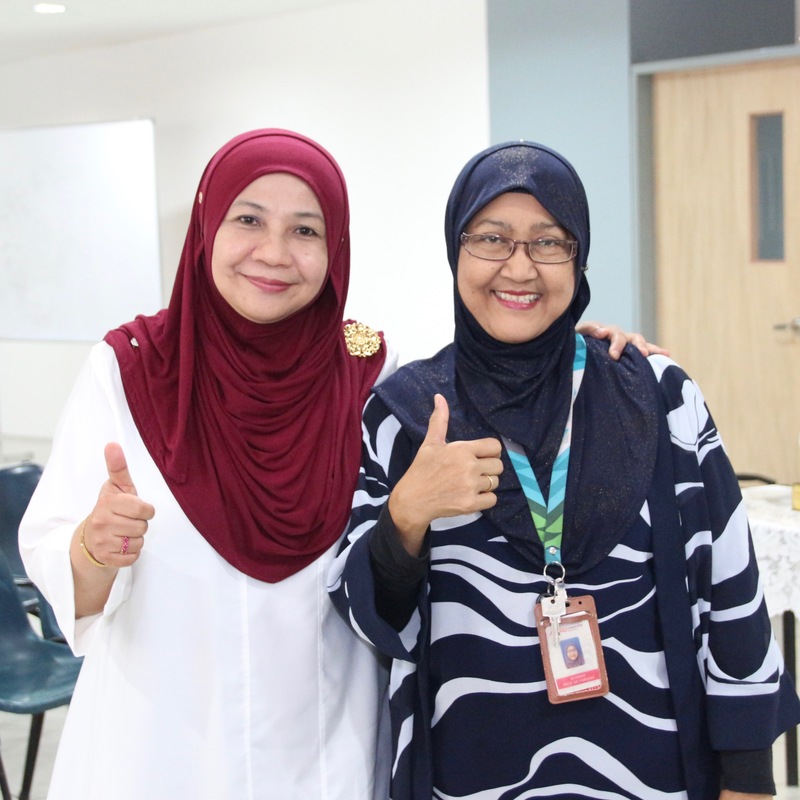 The event ended with a photo session and a thank you speech by Prof. Dr. Faridah Ibrahim. The event was a huge success!